Entrepreneur and designer Bita Salz has enjoyed a meteoric rise with her label BELLOMANIA and group of companies. Since her label was founded in Düsseldorf in 2006, the Persian-German designer has been passionately demonstrating that modern design and practicality make an excellent combination. These characteristics distinguish the whole collection of canine accessories and can be seen in the very first product – the BELLOMANIA trademark: a dog bowl in a timelessly beautiful design with decorative handles shaped like bones. Before Bita focused on accessories for dogs, she was an international model and worked closely with famous fashion companies. Based on these experiences, she developed a love of high quality materials and a fine instinct for sophisticated design. A passion for Neo, her German shepherd dog and her desire to provide him with beautiful and functionally excellent products led her into the pet industry and inspired her to set up BELLOMANIA. 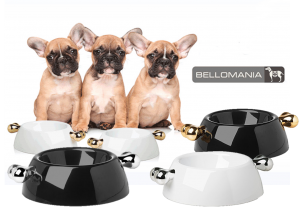 If we look at how BELLOMANIA has developed since the very beginning, we can see that the range of goods – consisting of collars, leads and bowls – has been intelligently adapted to market requirements and has succeeded in offering excellent products with uniformly high design and quality standards at a very attractive price/performance ratio. An offering that is acclaimed equally by a large, international fan base, celebrity dog-lovers and fashionistas. On Instagram alone the company has over 150,000 followers, who eagerly post private photographs and contributions about their four-legged darlings. After originally concentrating on the German-speaking markets, over the last 10 years BELLOMANIA has gradually built up sales across Europe at over 2,500 points of sale. To take account of the fast increasing overseas demand, in 2011 BELLOMANIA established a branch in the USA so that it could provide the perfect performance for breaking into this important market. Bita’s commitment to sustainability runs throughout all of her collections to this day. To optimize the use of materials and minimize losses in design or production, the cutting methods for the materials are constantly being improved. And when materials are being selected, only those come as close as possible to meeting requirements are chosen because quality and a high standard of safety are at the heart of the company’s activities. BELLOMANIA will offer long term joy to you and your dog. Leotsakos I.K.E. 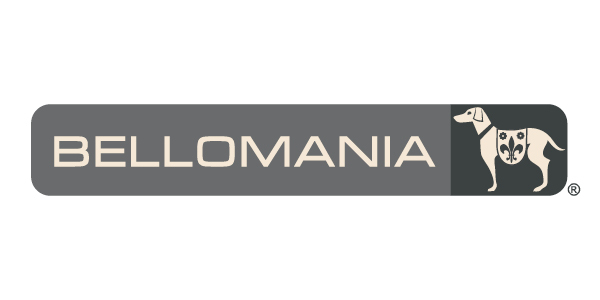 is Bellomania’s exclusive representative in greek & cyprus market since 2008.